Since the jungle closed we have been visiting and supplying the children’s centre at St Omer, 45 minutes from Calais. 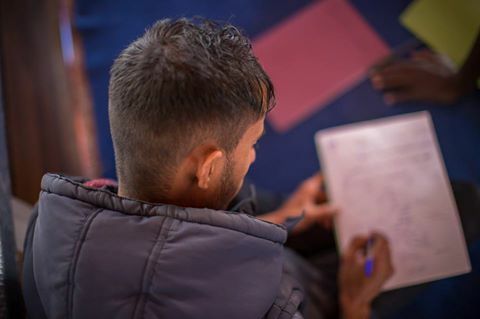 This centre saw around 200 children pass through in each of January and February, and numbers are rising as transfers to the UK cease. Not many stay there long. The staff do their best but there’s little entertainment and bare facilities for a 12 to 16 year old boy. But its a lot better than sleeping rough on the streets of Paris or Calais, and they get a decent meal each day. If you can donate any of the above please get in touch via our website www.care4calais.org.